The German Chamber and the Wirtschaftsjunioren (Young Business Leaders) Beijing kick off their new Women in Business series with a session on the complexity of issues related to professional women. This series aims to provide a platform for women with diverse professional backgrounds, to build and maintain strong networks, to enhance certain leadership skills, to share experiences and to foster personal and professional growth. Adults. RMB 300. Sign up here. 6.30-10pm. Kempinski Hotel Beijing Lufthansa Center. 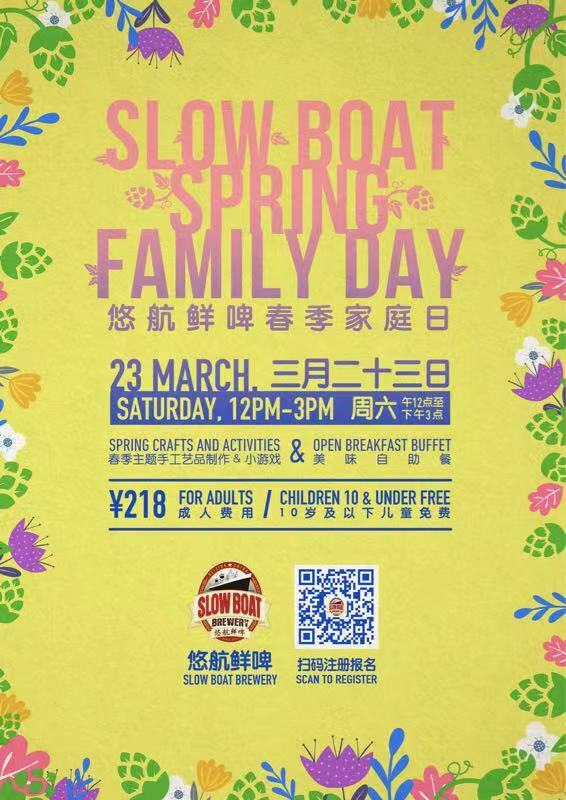 Join Slow Boat Brewery for their Spring Family Day on March 23 (Saturday), noon to 3pm. This themed event includes spring crafts and activities for children, an open breakfast buffet (noon-2pm) and a family-friendly setting for the little ones to craft, explore, and play. All ages. RMB 218 (adults), free for children under 10. Visit this link to register. Noon-3pm. Slow Boat Brewery Sanlitun. 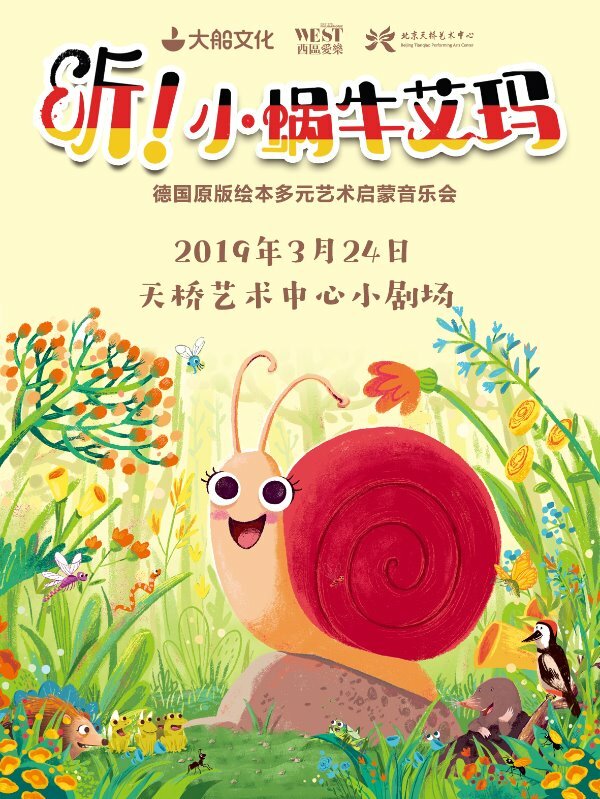 The Western Philharmonic performs Listen, Little Snail at the Tianqiao Arts Centre on March 24th. Follow Emma, a little snail, on a lively journey of exploration perfect for kids and families, and learn about the instruments in the orchestra, different musical techniques and the joy that classical music can bring! All ages. RMB 180-380. Buy tickets here. 10.30am-noon. Beijing Tianqiao Performing Arts Center. Prospective parents are invited to visit Mammolina Children’s Home-Montessori Kindergarten and meet the school founder Sasha Giggliesi, who will discuss the ideas of Montessori education and how it is applied to help children prepare for the future. All ages. Free admission. 9.30-11.30am. Mammolina Children’s Home-Montessori Kindergarten. Yew Chung International School of Beijing (YCIS Beijing) invites parents to their Early Childhood Education Open Day on March 26 to see the school’s Learning Communities. At this open day, participants will also understand how the Yew Chung Education Foundation’s long history in early childhood Education has shaped their teaching today. On March 28, parents can discover the Learning Community model in Primary and Secondary schools, the integrated Chinese program, and know more about the curriculum and teaching style at YCIS Beijing. All ages. Free admission (RSVP here). 9-11am. YCIS Beijing. Nali Patio hosts the Beijing Farmers Market every Tuesday this month. Shop around for second-hand clothes, DIY toys, homemade food, and farm fresh goodies. All ages. Free to attend. Visit this page for more info. 11am-2pm. Nali Patio courtyard. Hello Future Kindergarten hosts a weekly toddler playgroup every Tuesday morning from 9.15am to 10.15am. There’s reading, singing, dancing, and crafts for the kids, and coffee for mom and dad. Hello Future recommends that parents and not ayis attend this playgroup. Ages 6 months-3 years and parents. RMB 70. Scan the QR code on the poster to register. 9.15-10.15am. Hello Future Kindergarten, Cathay View West Gate, Maquanying.